I can’t believe it’s already over! We concluded our eight-week journey with a lovely and moving ceremony. Shannon and the team really went all out! There was a professional photographer there with a spot for lighting and a backdrop, and we all got to get our picture taken for free! The décor was so cute and festive with little butterflies and bottles of sparkling apple cider to celebrate. We had Body Back recipe snacks and got to view the slideshow of our before and after photos and stats. There was a lot of love in the room, some happy tears, and plenty of mutual support. It was so fun to see the changes we made and strength we gained! There were also awards/gifts for different categories. We were all gifted with pretty butterfly necklaces! 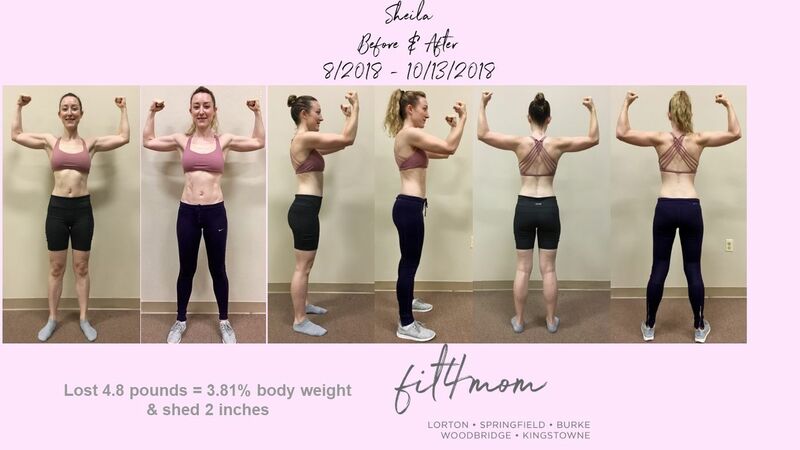 If you ever felt intimidated or uncomfortable going into an exercise class, or felt like it was only for the “elite”, that is not what you’ll find with Fit4Mom. You will only be met with support and positivity! It’s kind of neat that these workouts were designed, not only for women, but for women who’ve had babies. We focus on inner and outer strength. The benefits of exercise to me, go far beyond the physical. As I wrap up Body Back I am also saying goodbye for now to being a Fit4Mom instructor with my last class on Thursday. I’m sad to be closing a chapter that was a big part of my life. But I’m excited for the future (even though change is scary)! Special thanks to Megan for being such an awesome instructor! #BurkeEarlyBirds You rock! All of our instructors are so great. (Brooke, your football themed class with our halftime show made me like football!) And of course a big thank you to Shannon. I’m so grateful for all of the experiences you’ve allowed me. Much love to Fit4Mom!